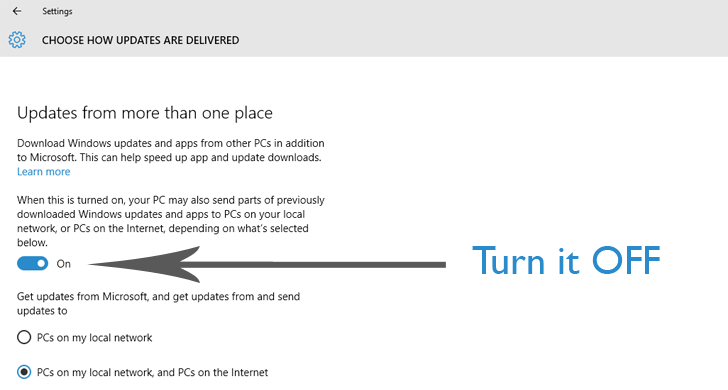 How to Disable Windows Update Delivery Optimization (WUDO)? ou can disable the feature, but the option is buried deep in the Settings menu for Windows Update. The feature is a good idea to speed up software updates, but enabling it by default without the knowledge of users is probably not at all a great idea. In a statement, a Microsoft said that the feature “helps people get updates and apps more quickly if they have a limited or unreliable internet connection” and that it “doesn’t slow down your internet connection” because it uses a “limited portion” of idle upload bandwidth.